The Savvy Cyber Kids is a great series of books that teaches children about information security through a fun storyline and pictures. These books focus on educating children about the challenges of social media, digital devices, and online social circles. 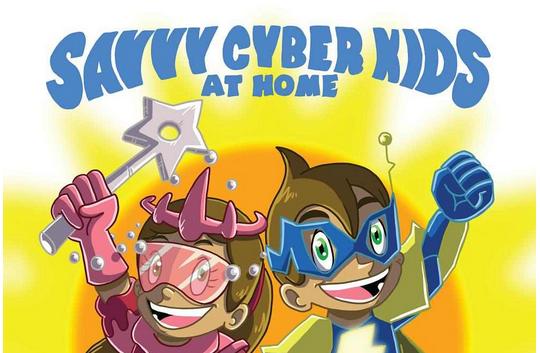 Savvy Cyber Kids series empowers children to protect their personal information. Parents play a large role in this education, of course. It’s never too early to be prepared. Try reading aloud and looking at the pictures with your children. Please share your success and practices here with our community. Ben Halpert is an award-winning author of several books for wildly divergent audiences. The Savvy Cyber Kids At Home: The Family Gets A Computer (October, 2010) is a picture book which teaches the concepts online safety and privacy to preschool age children. The Savvy Cyber Kids At Home: The Defeat of the Cyber Bully (October, 2011) teaches children how to appropriately respond to a cyber bully before they start playing in the virtual world. Seeing a void in the conversation about online safety for children before they begin K-12, Ben created a nonprofit to represent those who cannot speak for themselves: infants, toddlers and preschool children. For those in the business field, Ben has published Auditing Cloud Computing: A Security and Privacy Guide (July 2011) through John Wiley & Sons.